Recently I came across Accros du Roc, a French translation by Patrick Couton of Terry Pratchett's comic fantasy Soul Music. In the original, Imp y Celyn ("Bud of the Holly" in Welsh) is a young musician from Llamedos, a small country full of druids and stone circles and harps where it rains all the time. He has a conspicuous Llamedos accent, which seems to consist mainly of doubling all his l's: "Not ellvish at allll, honestlly". For British readers, it's fairly obvious what's going on here: Welsh makes extensive use of the letter combination ll (transcribing a lateral fricative not found in English), so doubling the l's gives it a vaguely Welsh look without actually attempting the difficult task of representing a Welsh accent using an orthography as phonetically inexact as English's. Not a terribly funny joke, really, but it plays some small part in establishing our expectations for this character. But how could it be translated into French, or for that matter any other language? Je vois un homme ki tient une hac'he de jet ! So in this case, it works out quite well - though I imagine the joke is lost on readers from, say, Quebec. "Did he come (at all, by any chance)?" 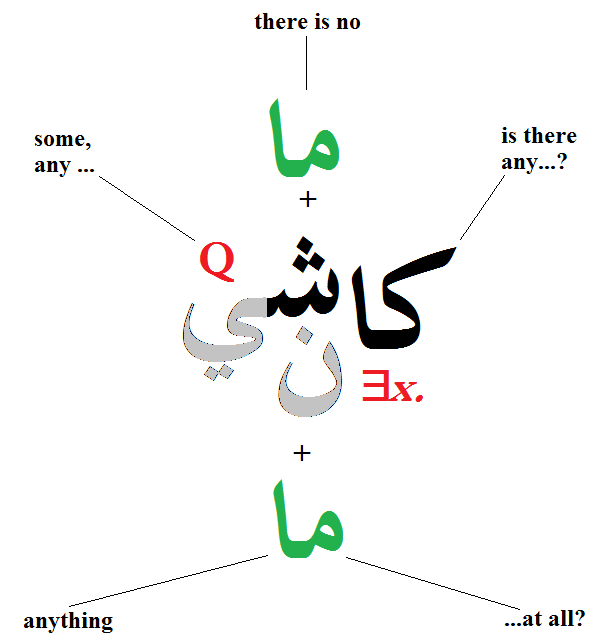 For full details of how Algerian Arabic managed to produce all these functions by combining an existential marker and a quantifier, you'll have to read the article! A rather similar grammaticalization seems to have taken place in Chinese for yŏu 有; can you think of any other comparable cases? What about Berber? Well, in principle the relevant words have been coined, probably more than once. If we go with Mazed's (2003) Amawal amatu n tfizikt tatrart, "gravitational waves" should be timdeswalin tizayzayanin. You may not be unduly surprised to hear that this gets zero hits on Google. There are dictionaries of proposed terminology for Tamazight (pan-Berber), but there are no fully Berber-language newspapers, and nobody teaching physics in Berber. Very likely the Berber-language radio/TV stations have spoken about this news, but if so, my experience of Algeria's Radio 2 suggests that they probably just switched into French to express it - and if they did use the neologisms, chances are virtually none of their listeners understood them. What about Siwi, or Korandje? Come on - who are we kidding? If a speaker of either wanted to speak about gravitational waves, they would simply use the Arabic term (or possibly the French or English one). Nothing in the structure of these languages prevents them from coining the terminology for this - but the fact that these languages have no media or educational system of their own, and are spoken by communities too small to include any professional physicists, makes it extremely unlikely that their speakers will do so, and even less likely that any such coinages will be successful. The moral is obvious: for a language's speakers to effectively be able to talk about the full range of topics associated with the modern world without resorting to code-switching or nonce borrowing, they need mass schooling and mass media in that language. Which brings me to another recent news item: it appears that Morocco's Minister of Education, Rachid Belmokhtar, plans to start teaching scientific and technical subjects in French, even in secondary school (1 2). The most obvious disadvantage of such a policy is that it makes it impossible for students doing badly in French to understand these subjects, thus reducing even further their already limited chances. 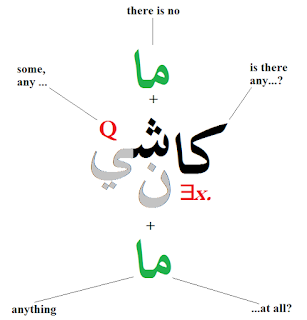 But its implications for Standard Arabic in Morocco bear considering too: this decision condemns an important part of its vocabulary to local oblivion. There are a rather large number of words in Songhay, the language of the Niger River valley between Timbuktu and southern Niger, which are almost the same as in Soninke, the language of the semidesert regions around the Mali-Senegal-Mauritania borders well to the west. Since most of the basic vocabulary is very different, these must be considered loanwords. But how do we tell which language coined them and which one borrowed them from the other? In some cases, this can be tricky, but in others it's quite clear-cut. The root is also found in Fulani, eg Gambian Fula sete "caravan" (Gamble), Pular seteejo "traveller, caravaneer", setagol "go on a trip" (Bah), and Heath glosses it as a Fulani loan in his Hombori Songhay dictionary. In neither language, however, does it have an obvious derivation from some shorter or more basic form. For that, we need to turn to a third language - Soninke. In Soninke, setú is the normal word for "to ride", glossed by Diagana "to be on top, to ride, to perch". By applying the productive morphological process C1V1C2V2 > C1V1C2C2V2, normally used to form imperfectives, we get sètté "caravan, cavalcade, group on horseback, riding". This etymology is not possible in Songhay, where "ride" is kaaru, nor in Fulani, where "ride" is maɗɗ- / waɗɗ-. We thus see that this commercially and politically significant word must have been coined within Soninke. That fits some aspects of the known history of the region: the early Soninke kingdom of Ghana played an important role in the development of the trans-Saharan trade, and even after its fall a diaspora of Soninke traders, the so-called Wangara, played an important role in tying the region together economically.